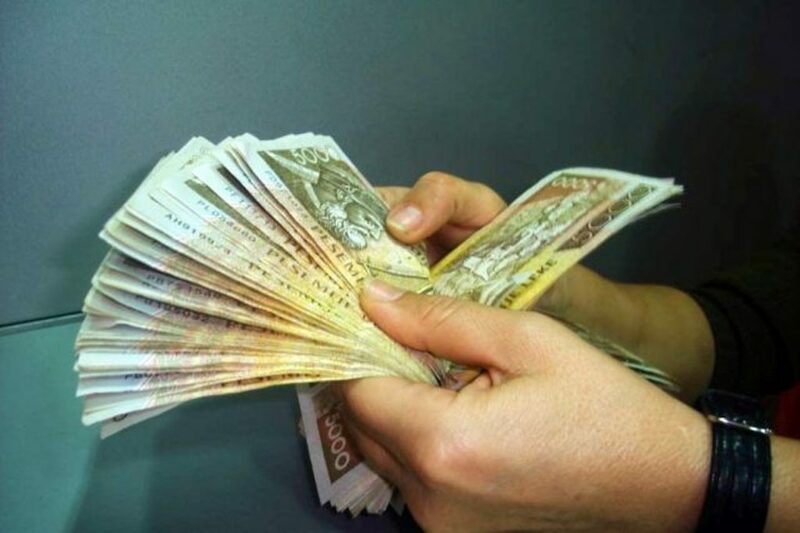 The number of Albanians who would recover their deposits in case banks go bust is around 1.4 million and this, thanks to the law in force which insures their deposits up to the amount of 2.5 million lek. This figure is also confirmed by the Deposit Insurance Agency in its annual report presented in parliament. The agency also says that this type of deposit, which benefits full financial compensation, accounts for 94% of the total amount of customers who have bank deposits today. All of them are included in the deposit insurance scheme. However, 90.845 people are unable to benefit the full amount of the compensation, because their deposits are higher than 2.5 million leks. “At the end of December 2018 the number of individuals who had deposits larger than 2.5 million lek were 90.845 and the amount of their deposits was 516.2 billion lek”, experts of the Deposit Insurance Agency say. Meanwhile, they also say that since 2003, when deposit insurance was introduced as a legal instrument, the number of people who have deposited money in banks today has grown by six times, compared to only 400 thousand at the start of 2003. “At the end of 2018, the value of deposits which can benefit from the deposit insurance scheme amounted to 1.079 billion lek. They account for 96.3% of total deposits”, experts also explain, adding that the value of deposits in the domestic currency which are covered by the state is higher than deposits in foreign currency. In case of the bankruptcy of a bank in the country, businesses are less insured than individuals, because their deposits are larger than 2.5 million leks. According to the Deposit Insurance Agency, “in contrast to the situation with individual deposits, 90% of deposits made by companies are higher than the maximum amount that can be insured”. “Compared to the end of 2017, bank deposits up to the amount of 2.5 million leks have gone up by 3.6%”. This is another interesting fact supplied by the Deposit Insurance Agency, adding that deposits in amounts higher than 2.5 million leks have gone down by 14.7 billion lek or 2.8%. Meanwhile, the Deposit Insurance Agency reports that in 2018, deposits in the banking system have seen a slight increase of 0.5%.